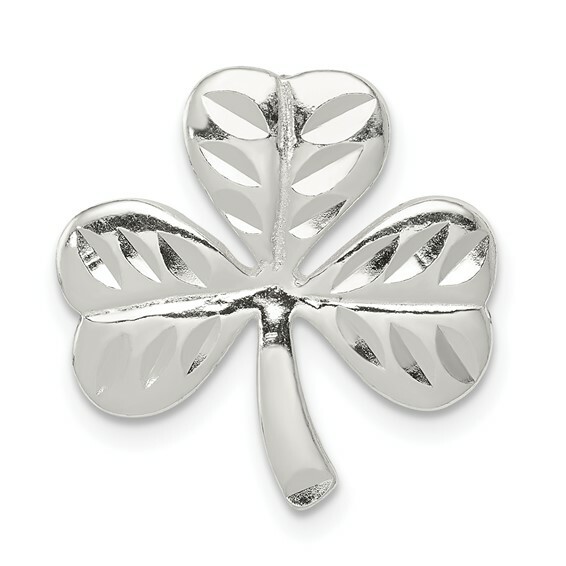 Sterling Silver Shamrock Charm. Weight: 2.2 grams. Measures 3/4 inch tall by 11/16 inch wide. This item is the size of a penny. Hidden bail. Diamond cut. Made in the USA.